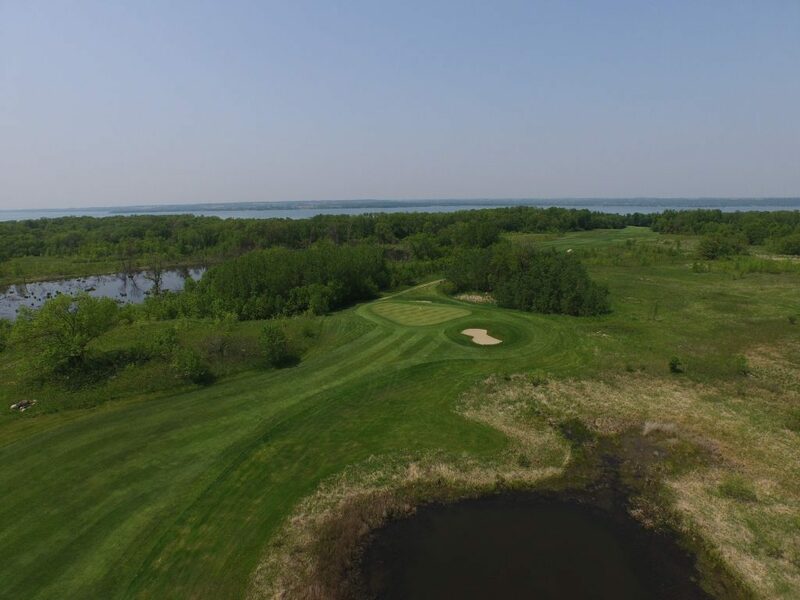 This par 4 features a very wide landing area for your tee shot that ends with a wetland area about 150 yards from the green. The distance of your second shot depends on your tee shot and angle into the green and can range from 140 to 200+ yards. A few have bombed their tee shot over the wetland area leaving an approach shot of only 100 yards. The heart shaped green is fairly large and has gentle slopes.